Identification of environmental isolates has its importance because every organism found may be pathogenic and should be controlled. There are a lot of microorganisms found the air. Mostly microorganisms found in air are bacteria. These are determined by the air sampling methods. The growth of these microbes in nutrient media helps to identify them. According to United States Pharmacopoeia (USP) Chapter <1116>, identification of environmental isolates must be included in the environmental control program and it is useful in the investigation of the source of contamination in pharmaceutical products. Method of identification should be verified and automated methods should also be qualified before their use. Generally, pharmaceutical laboratories have reference cultures of only pathogens and other organisms specified for analysis. There is a wide range of microorganisms found in air and water. Therefore, it is not possible to identify these microorganisms using culture media with reference cultures. Some biochemical methods using amino acids are used to identify these microorganisms. Manufacturers may get them identified by outsourcing laboratory. 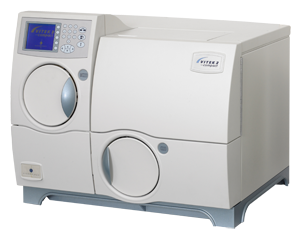 VITEK 2 Compact manufactured by BioMerieux instrument is widely used for identification of environmental isolates. A wide range of microbes can be identified using this instrument. These microbes must be identified to species level and culture library should be maintained for the reference. New microbes found during air sampling should be added in the library. Every new microbe found must be investigated for their possible source and pathogenic property. The following video can explain full process of identification using VITEK 2 Compact. This identification should be done for air and water isolates. If we have a list and the culture of all microbes in our environment then we can find the source of contamination in our product as needed by matching it with our library. This can help to prevent the further contamination of our products.